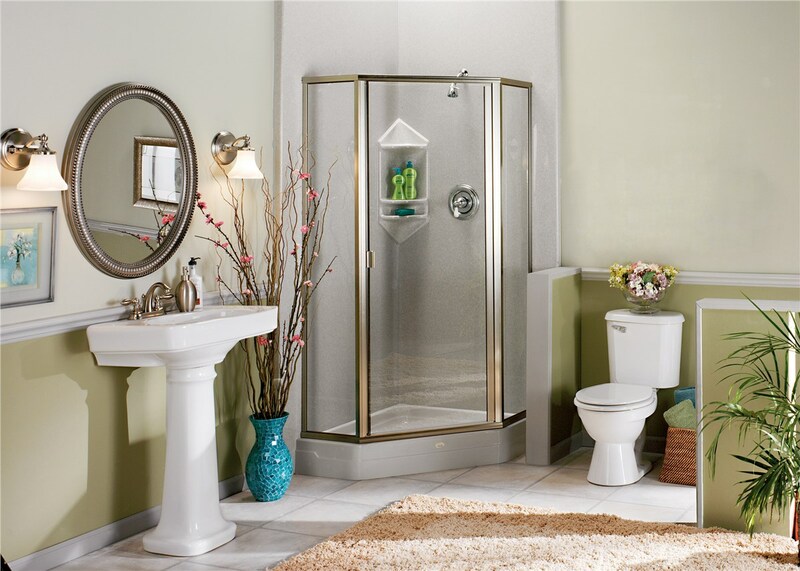 Give your bathroom a whole new look by updating your existing shower with a beautiful, modern shower enclosure. 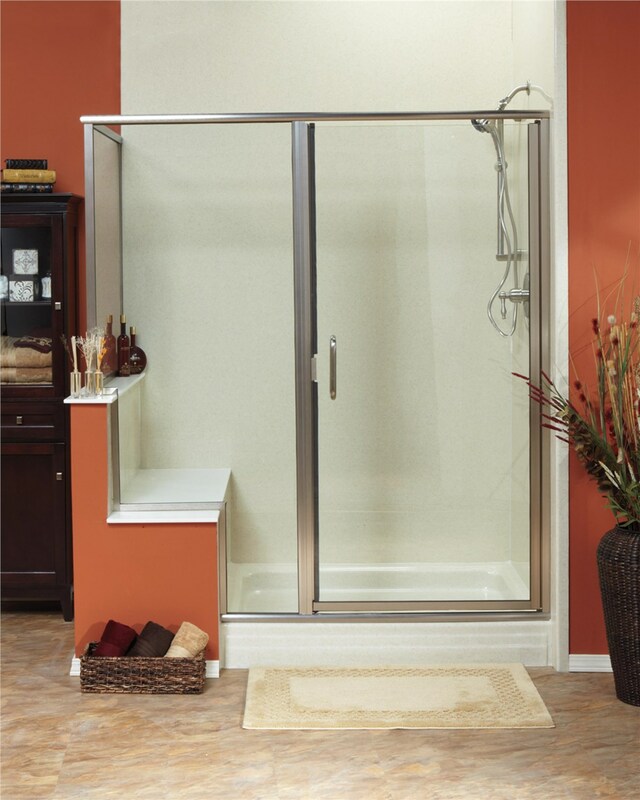 We provide shower enclosure sales and installation across northern Texas and southwestern Oklahoma. 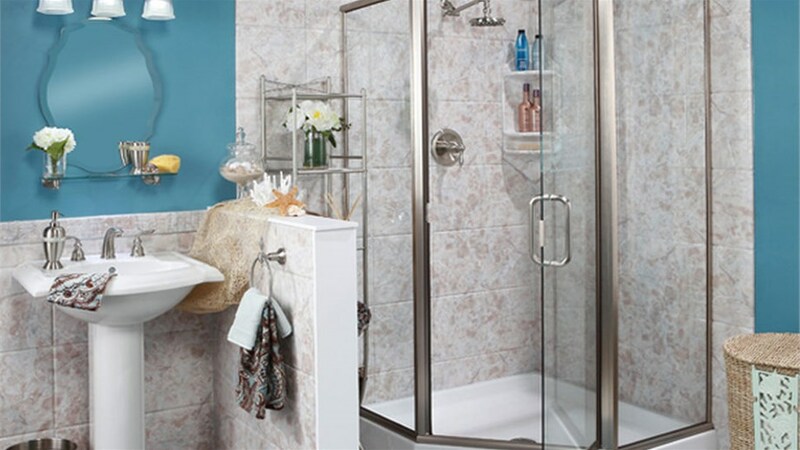 Are you tired of the constant upkeep of your old, traditional shower? Now it is easier than ever to update the look of your bathroom with a shower enclosure by Luxury Bath Texoma – saving you valuable time and money! Our glass shower enclosures are more than just doors – they are a statement piece for any modern bathroom! Luxury Bath Texoma offers over 85 contemporary patterns, textures, and colors to help you customize your new bathroom features to your exact style. To help bring your vision to life, our expert consultants will work with you to determine the shower enclosure that best suits your needs and aesthetic. From there, we’ll guide you through the process of selecting the hardware, fixtures, and accessories to complete the look of your new bathroom! Shower Doors – Our glass shower panels feature low-maintenance, crystal-clear technology to keep your enclosure looking like a showpiece. 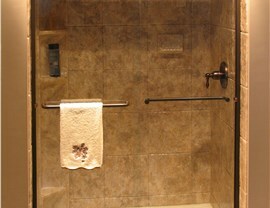 Shower Surrounds – Our professional crew can get your functional new shower surround installed in as little as two days! 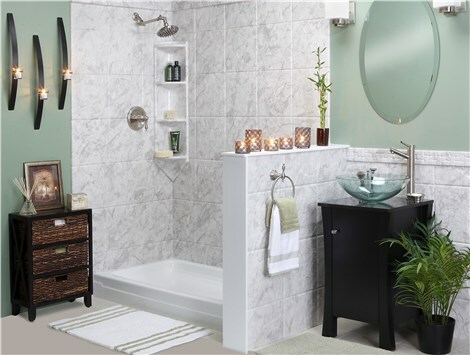 Fixtures and Hardware – Find the perfect finishing touch for your new shower enclosure by choosing from our expansive collection of fixtures and hardware! 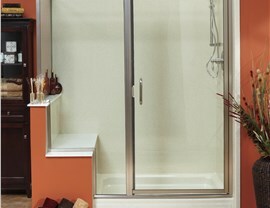 Luxury Bath Texoma offers several shower enclosure styles to suit the needs of every homeowner! From traditional rectangular or square corner designs to space saving neo-angle showers, we can help you maximize the space and functionality of your home’s bathroom. Walk-In Showers – Our walk-in showers have a low threshold to keep water where it belongs, making it perfect for any family bathroom! 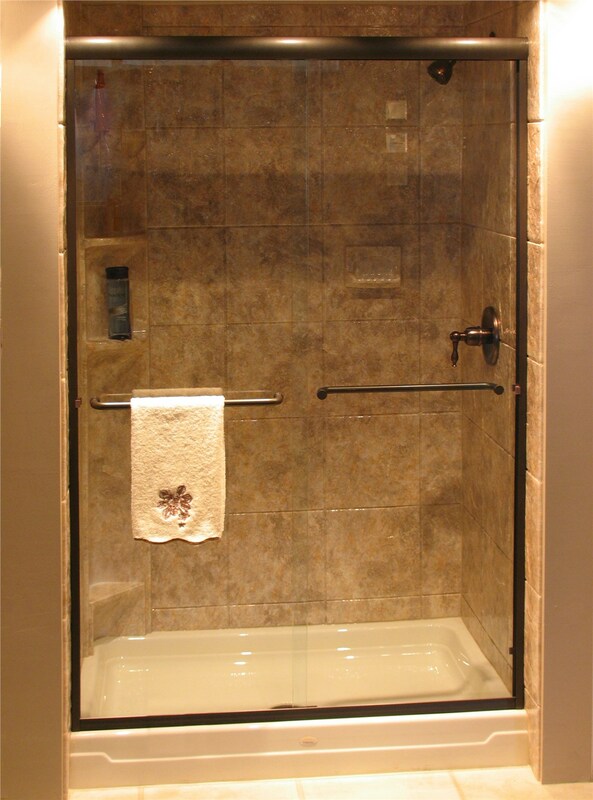 Roll-In Showers – Do you need extra accessibility with your new shower enclosure? No problem! 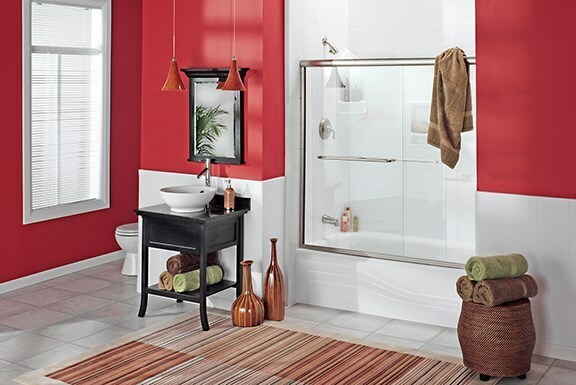 We offer roll-in shower options for barrier-free bathing without sacrificing on style and luxury! There’s more than meets the eye with the glass shower enclosures offered by Luxury Bath Texoma! Our superior quality products have the best in designer features to ensure your peace of mind and keep your bathroom’s environment clean and relaxing. LuxSeal Technology – this innovative product transforms glass shower panels to virtually eliminate water spots or the need for scrubbing! Microban Construction – We guarantee your peace of mind with our exclusive line of Microban infused shower enclosures that fight back against germs and bacteria. Durable Acrylic – The multi-layer construction of our shower enclosures makes them capable of standing up to the test of time while still looking like brand new! 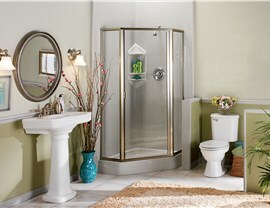 Luxury Bath Texoma's shower enclosures offer a beautiful bathing solution for any bathroom. Call us to get started on your bathroom remodel today or stop into any of our three showroom locations!